Online shopping has quickly become a part of everyones life. So what does this mean for bricks and mortar stores? 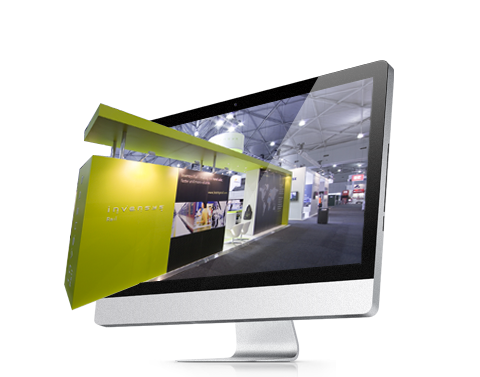 As a Visual Merchandiser, it means you really need to deliver the goods and demonstrate innovative visual merchandising campaigns that attract shoppers from the street into the store. In a age where we can buy anything and everything online, retail stores need to be experiential, beautifully designed ‘mastershops’ that entice online visitors to physically walk through their doors. “Customers don’t only want to shop, they want to come away from the store feeling enriched, uplifted and impressed", says VMSD magazine. For retailers, that means creating richer experiential layers - so immersion and experiences are more important than ever. How can we enrich the consumers experience? Research has found that consumers are looking to cut through the noise on social media. They are continually looking for spaces that provide individuality, an innovative aesthetic and fresh concepts that allow them to be the star of their social feed. Enter the instagrammable store. From minimalist master pieces to welcoming apartment style boutiques, we have complied our favourite high concept, instagrammable, retail spaces from New York to Copenhagen to leave you feeling inspired. 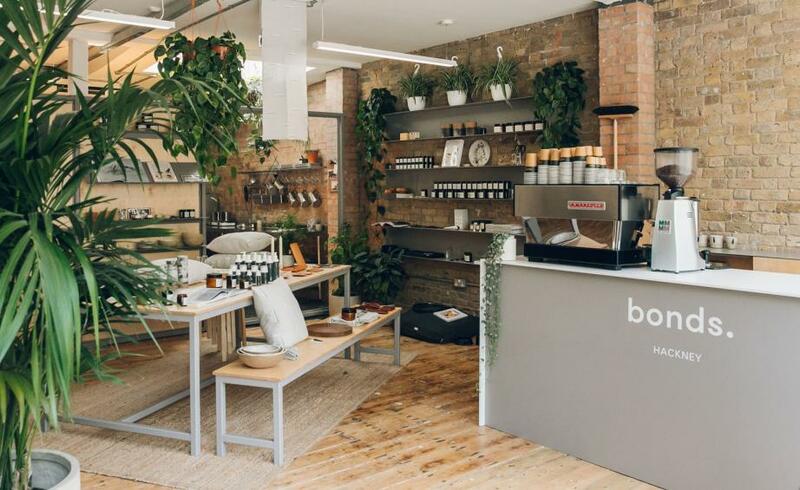 Transformed from an old carpentry-workroom into a rustic concept boutique in East London, this store manages to avoid the all-too-common shabby chic vibe. Bonds Hackney was born from the huge demand for duo Niko Dafkos and Paul Firmin's scent-based candle brand, Earl of East London. Elegantly making the most of the bare bones of the building, this space has been respectfully fitted, exposing bare red brick walls and original wooden flooring. The store and it’s adjoining studio are now used to house everything from life-drawing classes to candle making workshops. This store is proof that – in the right space – a specialist candle connoisseur can become a fully-formed lifestyle and experience brand. 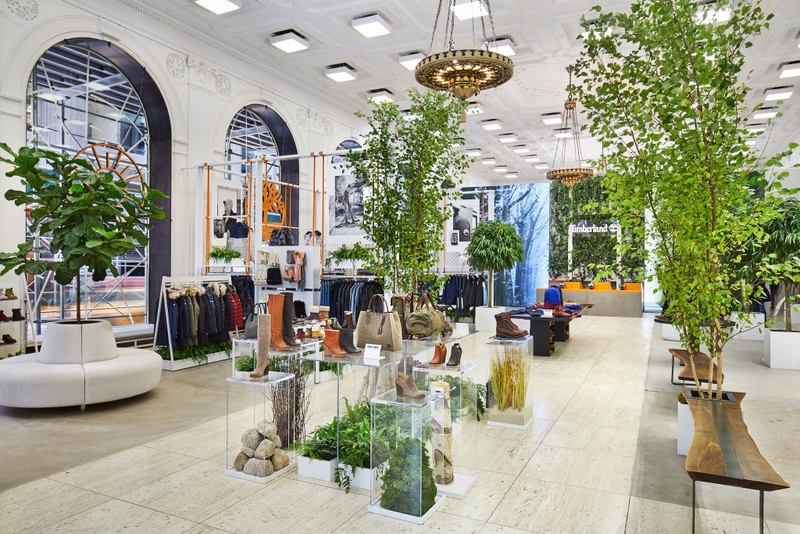 In a city of hustle and bustle, Timberland has brought a little of the outdoors inside with their new concept store in New York. Upon entry, shoppers are transported into the region of New England, where the Timberland brand was born, reflecting it’s 45 year heritage through the lens of nature. Featuring living trees, natural earth components and a living green wall, the brands commitment to urban greening really shines through. Amongst the lush greenery and stone architecture, the seamless integration of the store design includes a series of seasonal experiences including an interactive digital rain room. The Filling Station Motel, Udine, Italy. This roadside venue marries a motorcycle workshop and a store offering an immense range of apparel, helmets and accessories. It’s also home to food concept,The Osteria, serving up simple season meals and local Italian wine. Mixing old with new and an apparent industrial feel, this site offers the stylistic nuances needed to project the FSM brand. Perfectly positioned next to a motorway between the sea and mountains and within the regions historical centre, it is the ideal spot for locals and travellers alike to stop by for this unique experience. 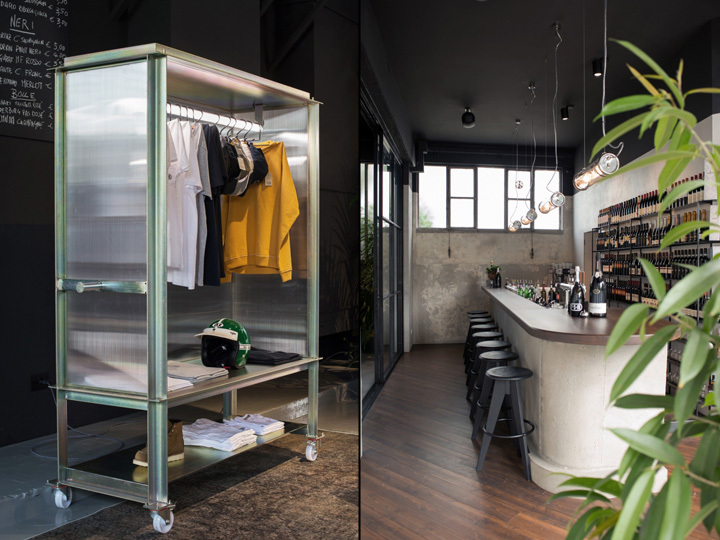 This store is one of the design-centric Aesop brand’s most conceptual. It was created to feel like a subtle extension of the plaza on its door step. With a monolithic concrete sink in the centre of the store, it’s reminiscent of the local fountains of Dusseldorf. The minimal delight feels like you have stepped into a spa, with low-key lighting and a refreshing, neutral palate throughout. Whilst sampling and testing products, customers are blurred between the feeling of being outside on the inside - a simple nod to the brands “all natural” tagline. Opening its second flagship store in Los Angeles, cult Korean eyewear store Gentle Monster leads customers on a journey through the stages of harvest. 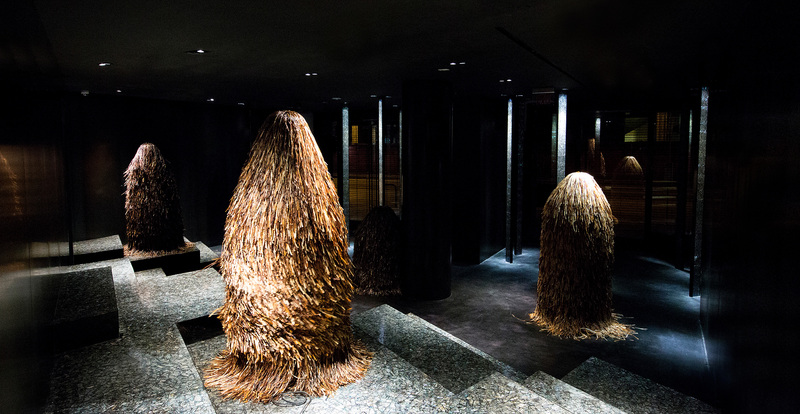 Bringing a space of zen, inspired by spirit and oriental traditions and featuring moving installations and surreal sculptures, there is a gentle nod to “rice field”. The space is brought together using 2000 metallic rods combined with rugs by kitting designer Misu A Barbe to soften this beautiful store. Sitting pride of place, their eyewear is propped on marble and metal shelving, that takes cue from the blades of a crop tractor. At the edge of one of Copenhagen’s many canals, you will find a blossom-scented, courtyard with winding stairs leading you to The Apartment. A beautiful space that feels just like home. 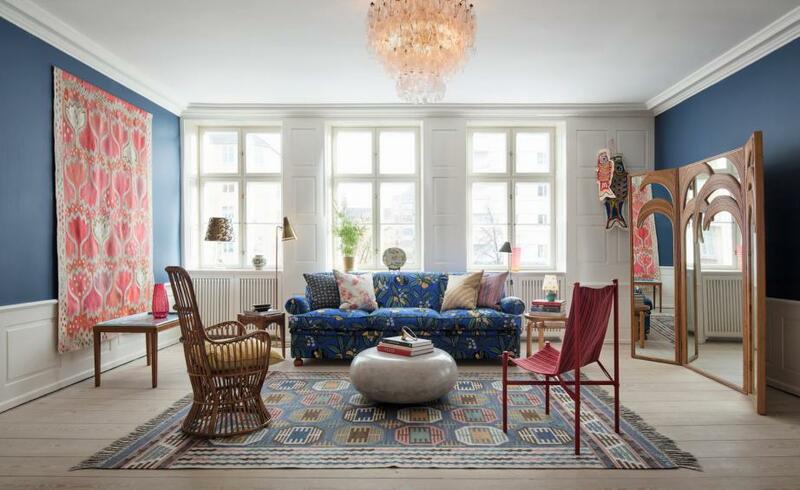 Filled with beautiful Kerstin Hörlin Holmquist armchairs against wall hangings by Barbro Nilsson for Märta Måås-Fjetterströ, this stunning space has a real focus on local designers and artists. With a rotating exhibition programme spot lighting local Danish talent, The Apartment offers a spectacular range of services from art advisory to the sourcing international vintage furnishings.